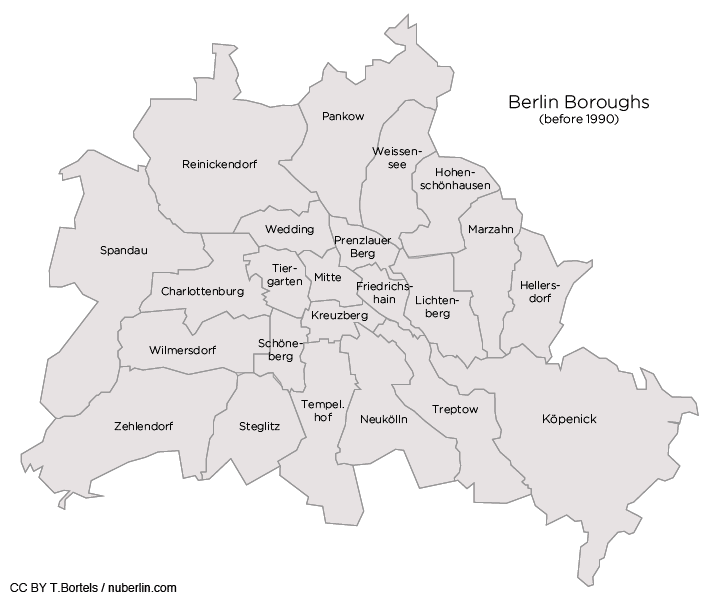 Looking for a Berlin map? You have come to the right place. 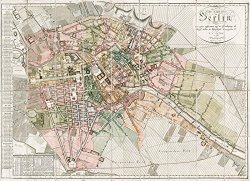 On this page you’ll find a collection of various different useful, rare and informative Berlin maps, available both online and offline: Berlin street maps, public transport maps, historical maps, PDF, etc. I will continuously add more links to more maps as well as draw some by myself. 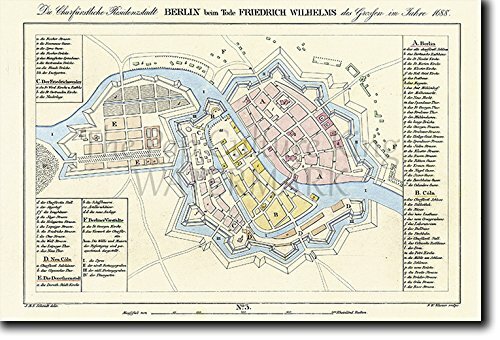 Additionally I will also add more and more links to Berlin maps that you can purchase online – mostly street maps and historical maps. 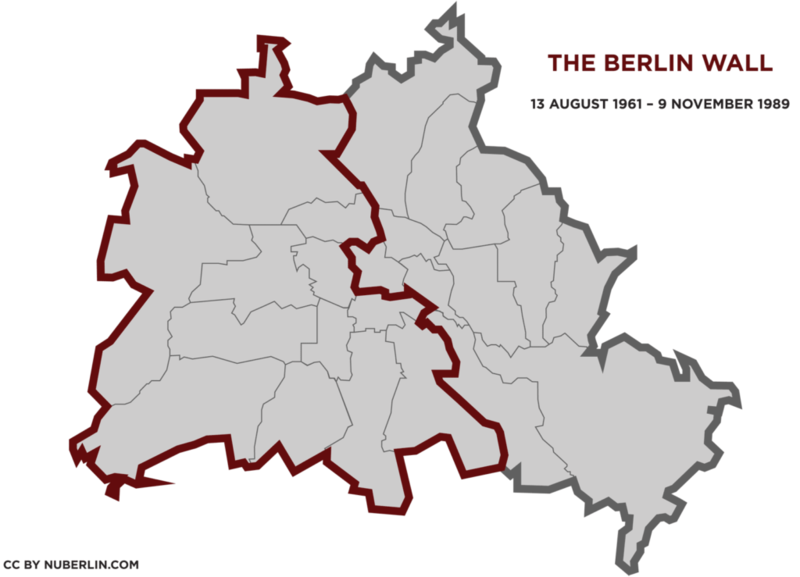 And if you happen to come across an interesting Berlin map, that is not listed here yet, then please feel free to let me know and/or add a pointer to the comments section. Thank you! berlin.de/stadtplan – the ‘official Berlin Street Map’ – a feature rich city map on the official homepage of the City of Berlin, featuring street and address search, parking garages, tourist sights, hotels, museums, public transport etc. 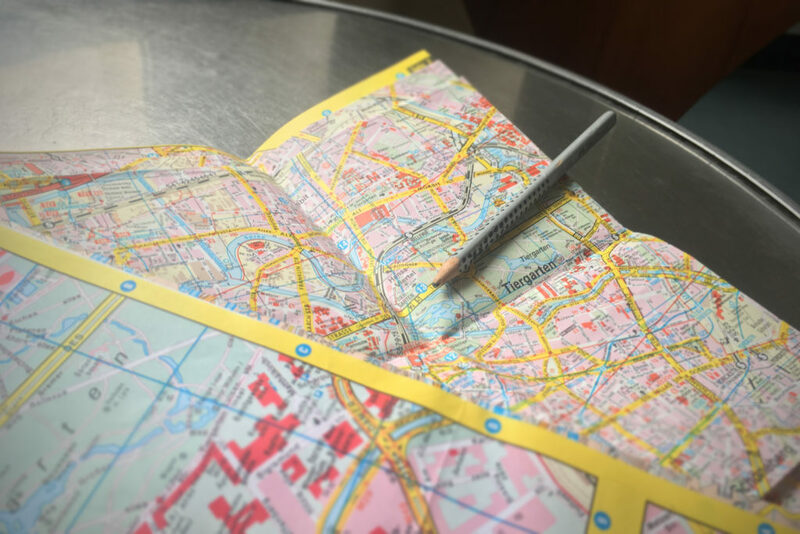 This street map contains a booklet attached to the cover, including a street index, a Berlin metro plan and a map of the Greater Berlin area – useful, if you want to really explore Berlin and the surrounding region, lakes etc. 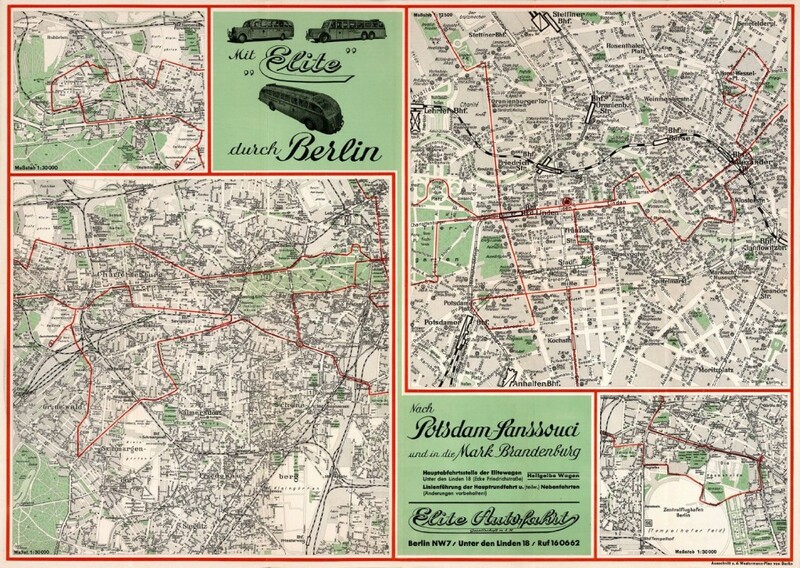 Berlin Transport Maps: S-Bahn, U-Bahn, Tram, Metro, Night lines etc. ‘Live view’ on Berlin’s public transport vehicles – a continuously updated street map – see Busses, Trams, U-Bahn etc. moving across the city in real time. Or actually not ‘real’ real time – but almost. 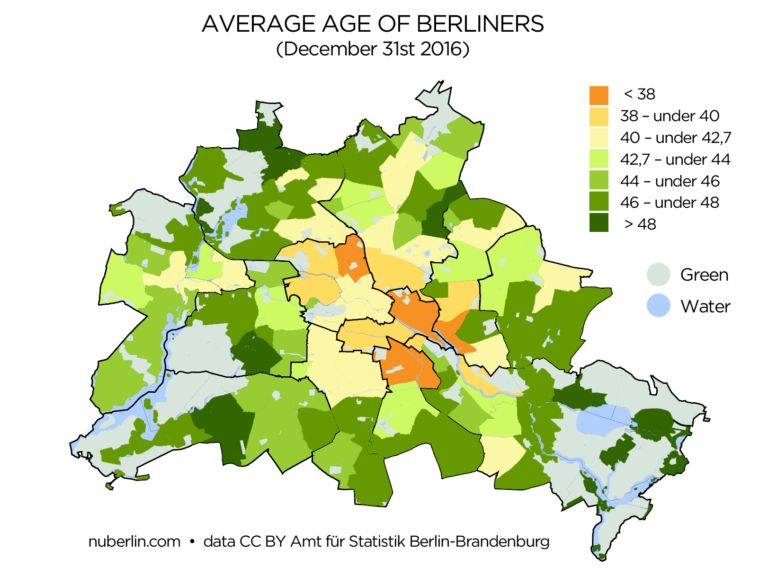 HistoMap Berlin – an interactive tool to navigate a vast collection of historical Berlin maps by overlaying the current Berlin street map. The Wall inside the city – an interactive map showing the former course of the Berlin Wall inside the city – featuring memorial sites etc. Berlin Wall Map at Google Maps, showing rather exactly where the Berlin Wall used to be. 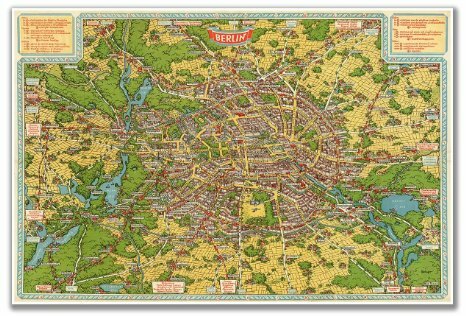 Berlin U-Bahn Sightseeing Map PDF is a cute (maybe a bit too cute?) 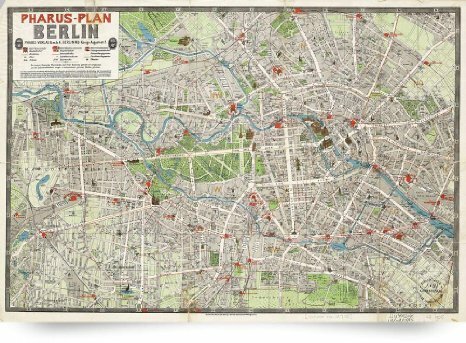 illustrated map featuring a few of Berlin’s sightseeing highlights – and subway tracks. Post Boxes: Want to send a postcard from Berlin, but don’t know where the next post box is? The Deutsche Post has an easy to use online tool for that: just enter your current location (in most cases street name will do) and the interactive map will show you where to find post boxes (“Briefkästen”). If you want to find a post office instead, you just need to click on “Filiales” and the tool will show you a map with the nearest post offices. And (of course) the ‘post box finder’ also works on mobile devices.